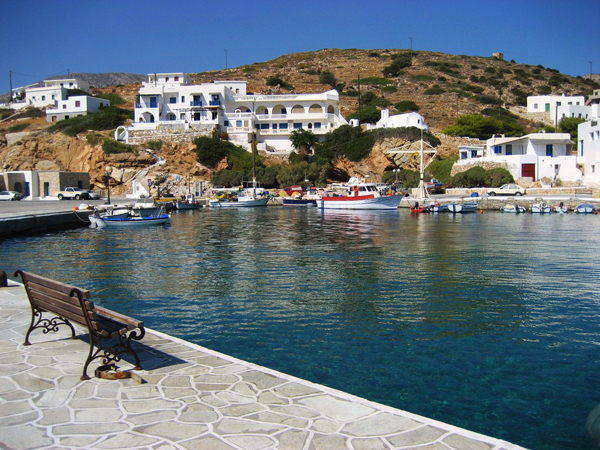 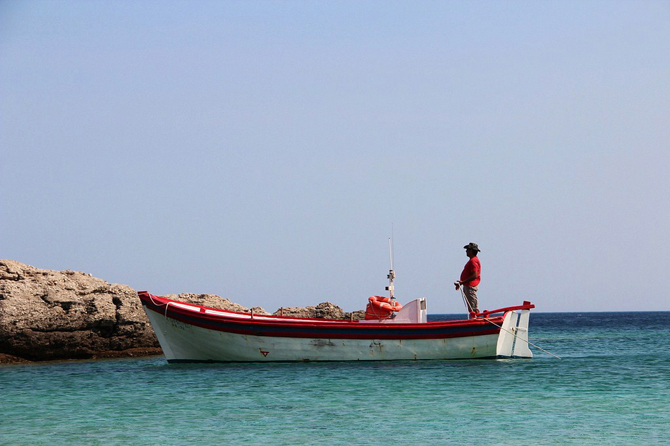 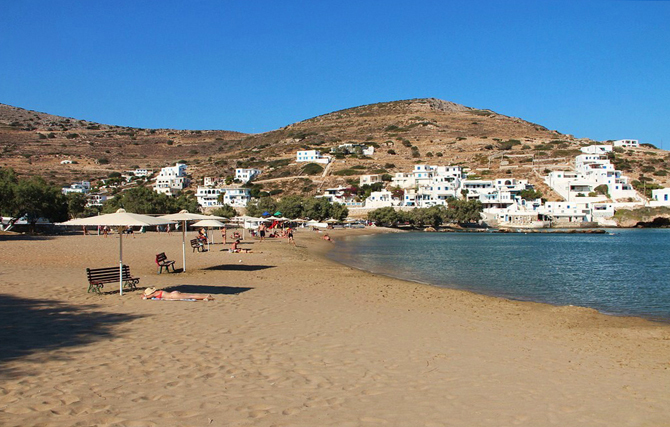 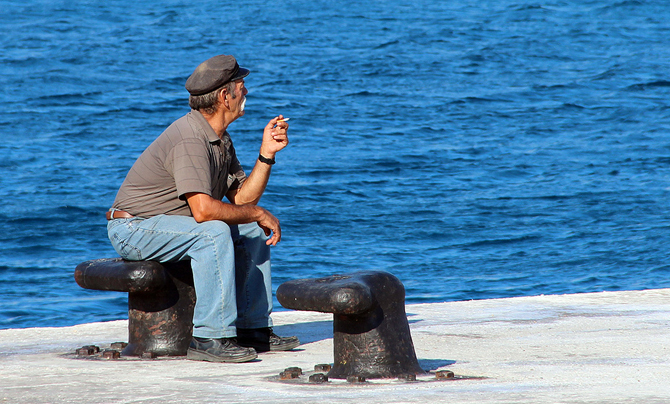 Alopronia (als = sea + pronoia = providence), is the small coastal village you will find when arriving to the island. 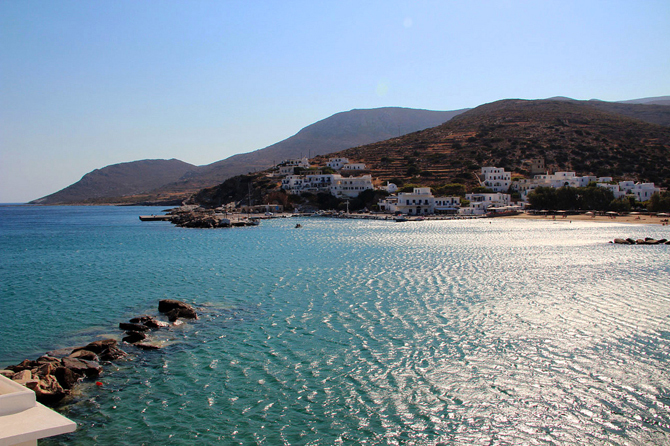 It is built on a natural bay and is also the port of the island. 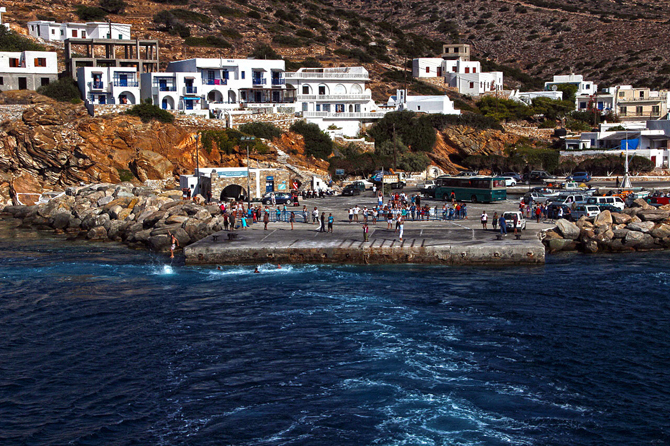 White-washed houses with arches, the largest sandy beach on the island, crystal-blue waters, saltcedars which offer their natural shade and beautiful shops are amongst the beauties of Alopronia. 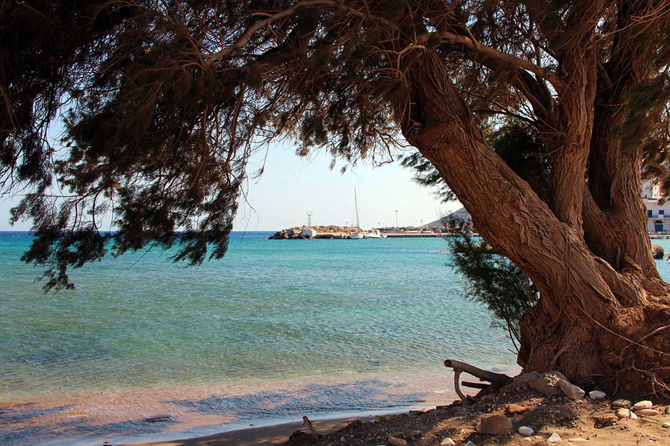 After the first dive into the sea, a nice Greek coffee under the saltcedars…and it smells like the Cyclades! 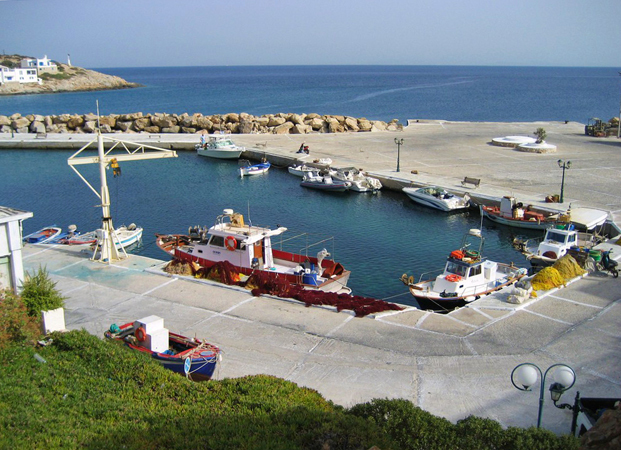 From here one can take the bus to Chorio (the Village) and to Episkopi as well as the small boats for an excursion to nearby beaches.